Like a lot of things in life, roof leaks tend to happen at the worst time possible. Though there is never an ideal occasion for them to occur, they’ll typically crop up during a pristinely planned dinner party, just as you’re about to go to work or right before setting off on your summer holidays. Fortunately, as we’ll be explaining today, there are ways of dealing with this particular issue. With the amount of technology present in almost all modern day households, awry water is a nightmare personified. We recommend moving all items away from under the leak, and replacing them with as large of an empty bucket as you can find. Locating the source of a roof leak really is a process of elimination. While we’d never advise doing anything that you don’t feel comfortable with, having a tentative search for where the water is coming from may be a good idea. 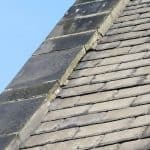 Local roofing experts like our Leeds roofers are fully trained and qualified to carry out their designated job, and do so on a regular basis. This means that they’ll have the ability to assess and deal with the task at hand both quickly and efficiently. Should you be based in the Leeds area and have any problem whatsoever with a leaking roof, why not get in touch with a member of the DPR team today? A provider of domestic and commercial roofing services for well over two decades now, we continuously aim to offer the very best prices and levels of workmanship.